Europe brings great and wide possibilities into picture, and if you want to get into the best places in Europe, you can always bank upon Denmark, the UK, France and Germany–these specific countries are basically the driving force in the continent even as they flaunt the best possible living standards. In most cases, the possibilities multiply tremendously when the immigrant has the best possible skills and education rendering him to be the best fit for immigration. In most times, the economy may be looking for a particular kind of immigration, and if you are able to live with that, you will make the possibilities of getting paid in the best way possible. As it is too well known, the European economy has faced a downturn from 2002 onwards. However, over the period of time, with the change in the dynamics, there has been a gradual shift in the growth dynamics, and the tectonic movement in the economy has given a force to the fragile European markets to bounce back. As a result, you are witnessing that the rosy days are returning and immigration has also broadened to this region. There is one more pivotal role and cordial relationship between the European nations that make them the arguably best place for any immigrants to see their future. In particular, if you talk about the diplomatic tie-ups and affable relations, you will get to know that moving in any of the Schengen countries is easy if you get entry into any of the Schengen nations. The possibilities of movement multiply manifolds and if you want to make things happen in particular, you need to have the best skills to make it up there. If you talk about Denmark, you will get to know that it is one of the best countries where you can end up being. The work opportunities are immense, at the same time; you also get the best living standard, healthcare, education and above all, a government that is focused more at people welfare and less at self centralism. So, you witness zero corruption in the Nordic Nation that always keeps you motivated towards doing your work with dedication and consistency. If you want to get into Denmark, there are few ways and Green Card is one such way that you can resort to for streamlining the movement. If you are looking forward to use the Denmark Green Card Points Calculator of 2015 to help streamline the movement, you must make sure that you firstly understand the diverse dynamics that it demands in particular. There is always a greater possibility of immigrants to get a Green Card status to Denmark, if they are able to meet up with the desired requirements that the Denmark immigration authorities seek. As an applicant, you will be granted the residence and green card, under the Denmark Green Card Points Calculator scheme of 2015. If you use this possibility, you will have to ensure that you meet up with some of the dynamics that would completely take upon the possibilities of movement. The probabilities of movement will multiply manifolds if you possess the right skills that are demanded in the respective state and province in the overseas immigration hotspot. If you meet with that, you would be granted the prized and the much sought after Green Card for Denmark under the Green Card Points Calculator Scheme of 2015; but a Green Card is not the affirmation for any kind of job. Since the demand for the foreign labor is limited in the nation, you will have to make certain that meeting with the possibilities and requirements that can bring about a major change in the economy would be something that the immigration officials would be seeking right away. 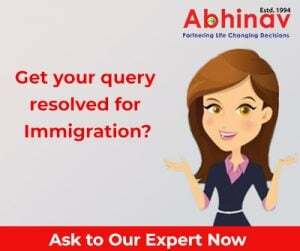 You must avail the best immigration attorney to help bring the possibilities into picture and help you move instantly to this beautiful and widely preferred overseas destination and make the most happen in real time.